Meet Women's Amie Model # 1013428 This Classic Slim™ version of the iconic Classic Short features the same premium materials, expert craftsmanship, and signature comfort as the original. 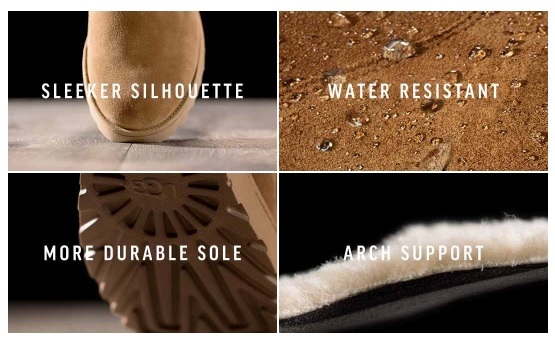 Pretreated to repel water and stains, the Amie also features added arch support, a subtle wedge, and the innovative Treadlite by UGG™ outsole for incredibly lightweight traction, cushioning, durability, and flexibility. 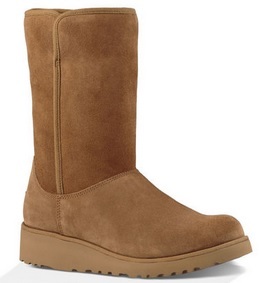 Visit the UGG website to learn more.